E-learning has been around for over two decades, though of late there has been a surge in its usage. According to the eLearning magazine, in 2012, 50% of training hours are being deployed through eLearning, blended, online or virtual medium. 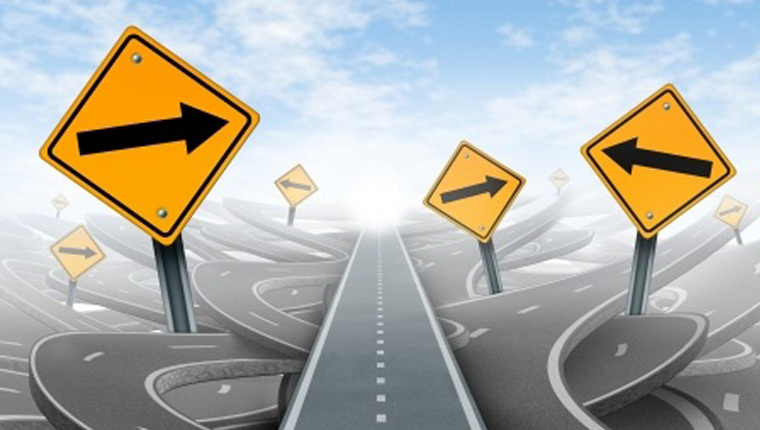 E-learning is trending and is your fast pace road to training success. There are a lot of queries regarding eLearning, its process and implementation, which arise in the mind of those who want to embark on online training. 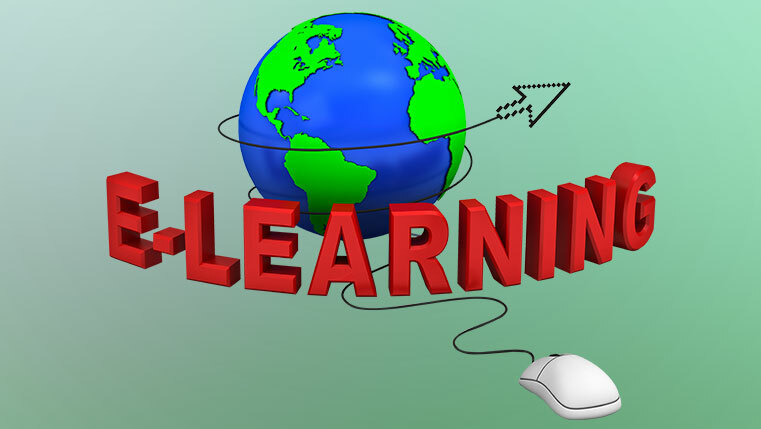 Here are 6 frequently asked questions about eLearning and their answers. FAQ #1 – What is eLearning? To put it simply, eLearning is electronic learning, and it typically includes a combination of electronic media and educational technology. E-learning is computer based and makes use of multimedia sources such as text, audio, animations, images and so on. It is an intranet or an extranet web-based learning that combines information and communication systems on either a free standing or network based Learning Management System (LMS). E-Learning is synonymous with the use of ICT (information and communication technology) in education. Today, eLearning is used extensively in the education and the corporate worlds. FAQ #2 – Why should I consider eLearning-based training? E-learning is anywhere learning! Classroom training sessions require face to face interaction, which usually takes place during working hours, hindering working schedules. With eLearning, you have the freedom to to take the course at the place and time of your choice, without affecting work schedules. E-learning is pocket friendly and saves time; it saves the money spent on printed material and classroom supplies,and the best part is that it is cheaper to develop and can be used frequently. British Telecom delivered e-business training to 23,000 employees in three months at a cost of £5.9m, compared to £17.8 million and a five-year time span for classroom training (Source: Taylor, 2002). So, you can see for yourself why eLearning should be an obvious choice for your training needs. FAQ #3 – Are eLearning courses available in languages other than English? Yes, of course! E-learning courses can be made available in various languages such as French, Spanish, Dutch and many more. You can easily translate your eLearning course into multiple languages, if you need cross culture training in your organization. FAQ #4 – Can I customize eLearning courses? FAQ #5 – What are the hardware and software requirements for online training? Well, to begin online training in your organization, you need have a platform that hosts your eLearning courses. This platform is called a Learning Management System (LMS). You also need eLearning course authoring tools, which are used to create and publish digital courses. Tools such as Articulate Storyline and Adobe Captivate are SCORM compliant and can be used to develop courses that are easy to upload on LMSs. To access an online learning course,a learner will need a computer or laptop with WLAN or intranet access to the LMS and your login details to take the course. FAQ #6 – How much does an eLearning course cost? E-learning is a one-time investment, and once you have your course you can use it as many times as you want. You can save precious dollars by eliminating the need for repeated presence of the trainer. Building and delivering eLearning include activities such as conducting a training needs analysis, comprehending the content, developing an instructional strategy, identifying the best delivery method like LMS, assessing the extent of customization and so on. 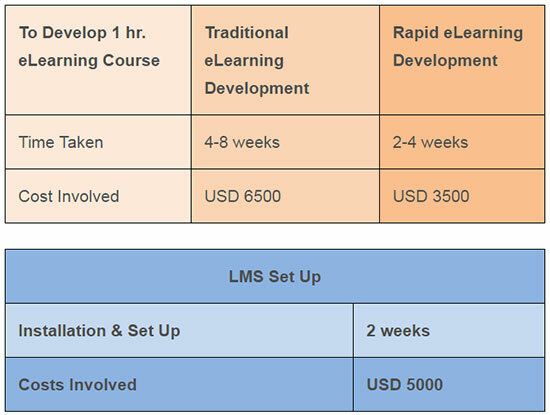 Based on the amount of work needed and our basic estimate on hourly basis, an eLearning course of 60 minutes costs about USD 3500. Below is the estimated breakup of the costs. I hope this post has helped you understand what eLearning is all about. If you require more assistance regarding eLearning, please feel free to post a comment.